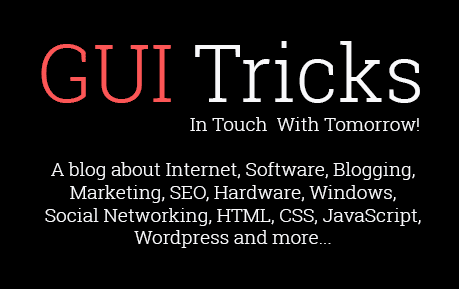 Best Language Translation Applications For iPad And iPhone | GUI Tricks - In Touch With Tomorrow! 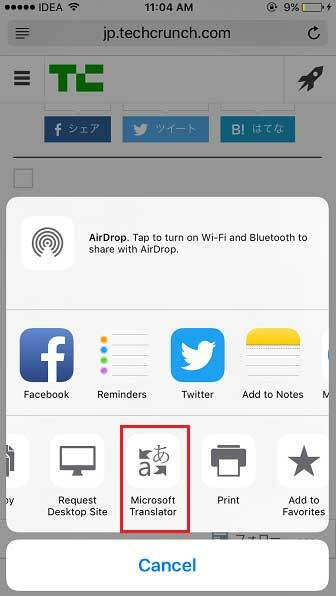 Best Language Translation Applications For iPad And iPhone - GUI Tricks - In Touch With Tomorrow! Most of the people in the world really love to travel different places to explore the beauty of the world. This is how they use different types of researchers on the culture and tradition of the respective country. You may find your native language speaker everywhere. The main point is you will not get every single person of your native language speaker respectively. You probably have to talk with them in their language. This could be quite difficult to convey your message in another language to others. You should have some sort of authentic way to convey the message which may remove the language barrier impressively. This is all due to the advancement of the technology that we can get all these facilities in a better way. IPad and iPhone are the best examples of this era and you may easily download these applications into your iOS devices to get them in your use. This could be the best way to move with the pocket dictionary which will surely provide you the best and quick response. 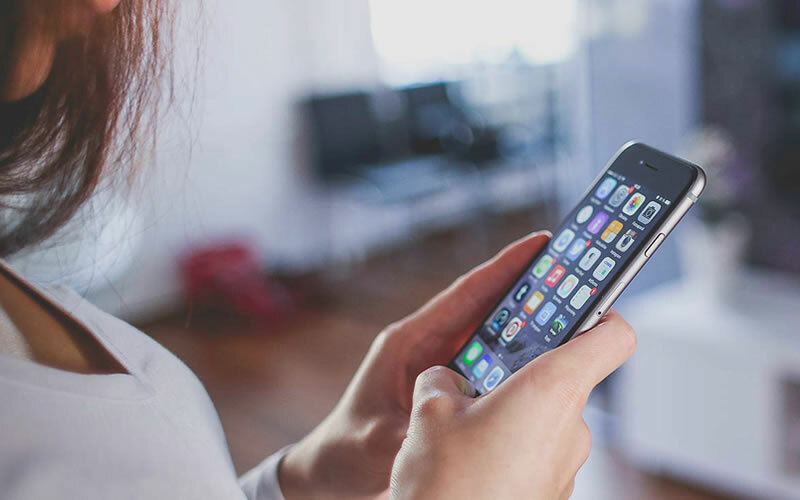 The best applications which iOS developers have introduced to remove the hurdle of the language barrier respectively. They have introduced the applications which will translate the words in another language respectively. These applications are easily available on the App store and you may easily use them to communicate people in a better way. Furthermore, we will discuss some most important applications which have resolved the things and also provide the best way to communicate with other people in the same language. 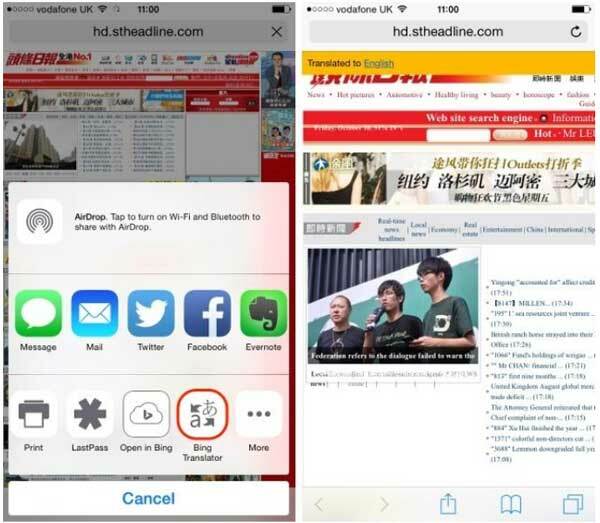 Speak 7 translate is the preferred application for iOS users. This application will allow you the best experience of translating and dictate the words which you want to know. It will also allow you to choose the voice of male and female respectively as per your choice to speak. This application has the quality to translate up to 117 different languages for text-to-text and it also has 54 languages for voice-to-voice translation. By the help of the application, you may easily communicate with another language person all over the world very easily. You must be thankful to the Apple for introducing such type of beneficial application. You may get this application from App store at very affordable rates and it will only cost $14.99. This application is also very helpful and you can communicate with others flawlessly text and voice-to-voice conversation. This application will allow you to communicate in 90 languages and also have the choice to speak in male or female voice for the communication. You may frequently use this application in offline mode as well without any sort of interruption. It is the best collection of the handy dictionary with synonyms and different meanings. It will also help you out to get explain the meaning of difficult words very impressively. You can get this application free on App store to install it on your iPad or iPhone respectively. 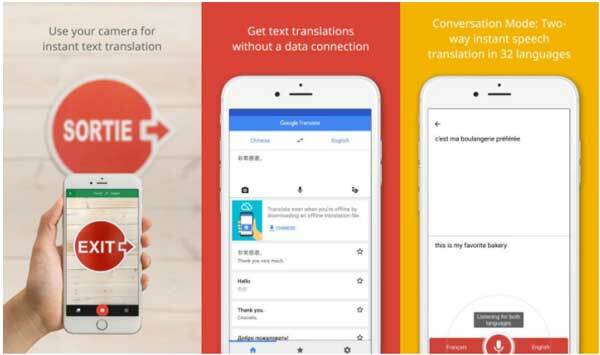 Google translate is one of the best application which can help you out to translate 103 languages flawlessly by typing. Even though you can translate 53 languages when you don’t have any sort of internet connectivity. If you are using your phone’s camera then it will allow you to translate 30 languages into the conversation mode. It also provides two-way quick speech translation in 32 languages and you may draw the characters in 93 languages. This application is easily available in App store without any charges. Download it free on the internet today to enjoy the benefits of this application. For voice-to-voice conversation, voice translator is the best choice which supports 171 languages respectively. It was specially designed to make your translation work so easy and accurate. You may easily check the meaning of the sentences and phrases with the help of this application. You may also send emails or SMS to your friends by translating it. This application is also available in App store without any charges. Download this application today to utilize it. This application is not just for translating the words but it will also help you out to learn different languages. You can listen to different languages up to 30 in HQ voice and it also supports 90 languages including English, Dutch, Czech and many others. It has the quality of that you may easily conversation with more than 2 people at a time. You can download the languages to utilize them while you don’t have internet connectivity. You may also check different translation and pronunciation and also can learn the other languages perfectly. This application allows you to learn the respective language which you want to or you may quickly translate any foreign word. It will allow you the best option to respond quickly as per your need. You will surely find the best and quick response to this application according to your desire. By these famous applications, now we have the clear idea regarding this. These applications have really made so much ease in our daily life and especially for those people which have to visit in different countries to visit for their tourism or business purposes. Now they can easily communicate with other language speakers by using these applications. Developers have considered this thing most important this is why they have introduced almost every single thing through these applications. It was really very difficult thing especially for the delegates which use to visit other countries to make their business deals. The language barrier was the worst thing in front of all. It was the common practice to bring translators who use to translate the words to define the other party. It was also time taking to explain the exact idea and feelings to the other member. Now with the help of these applications, you can frequently remove the hurdles of language issues. You may easily get these applications from App store to download them into your iOS devices. Tablet Hire is a UK based organization which provides the reliable iPad hire services all over the Europe since 2010. Tablet Hire are experienced in configuring large numbers of iPad's and laptops for use in events,conferences,business meetings and exhibitions.